Submitted by CAphyl on March 24, 2015 – 2:05pm. 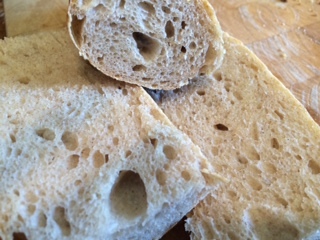 I have really enjoyed making David’s baguettes recently (link to recipe below), both in the UK and back in the U.S. in California. I use a baguette tray for proofing and baking and that has worked well for me. I tried the couche cloth to start, but found that it was harder for me in handling a wet dough. 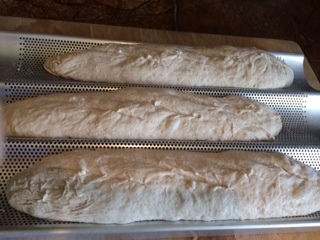 Instead of four baguettes (per the recipe), I make three, using the tray. 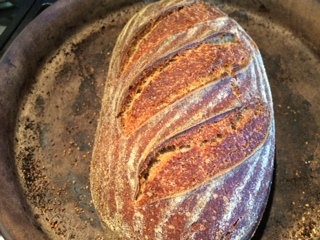 I still would like a more open crumb, so I will have to resist the temptation to add more flour to make the dough easier to deal with. 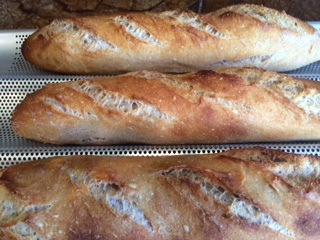 My husband and my friends said they really enjoyed the baguettes, so I will keep baking them and trying to improve. 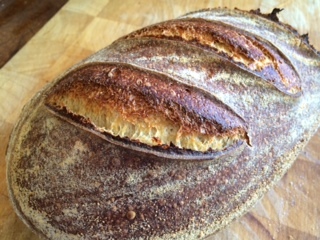 I also made a few classic batards as well.